Here is some older work that may be of interest. 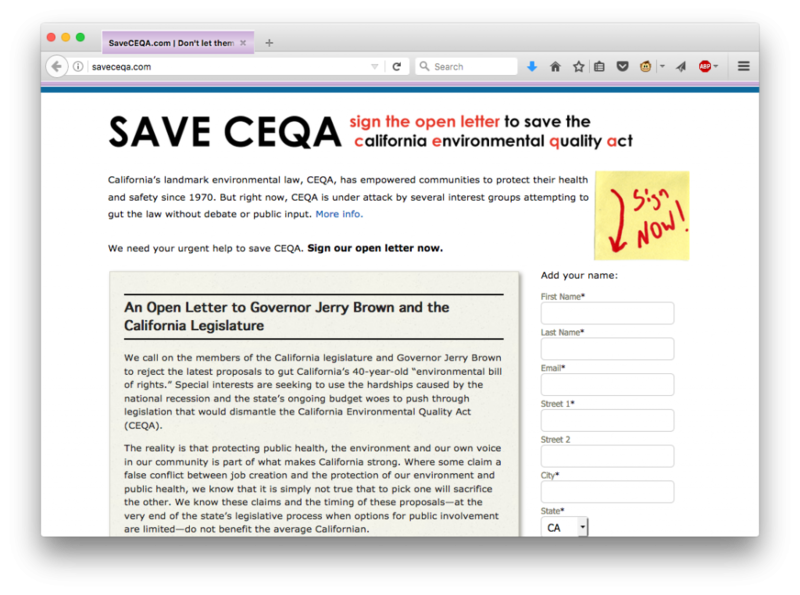 Here’s a microsite I developed along with my colleagues at CLCV in 2012. It was designed to be very simple and was an early professional foray into responsive design (which I coded from scratch). The site was originally designed to work with Salsa’s API; I set it up later to work with Luminate’s API and it should still function (assuming CLCV hasn’t taken the Luminate form down). 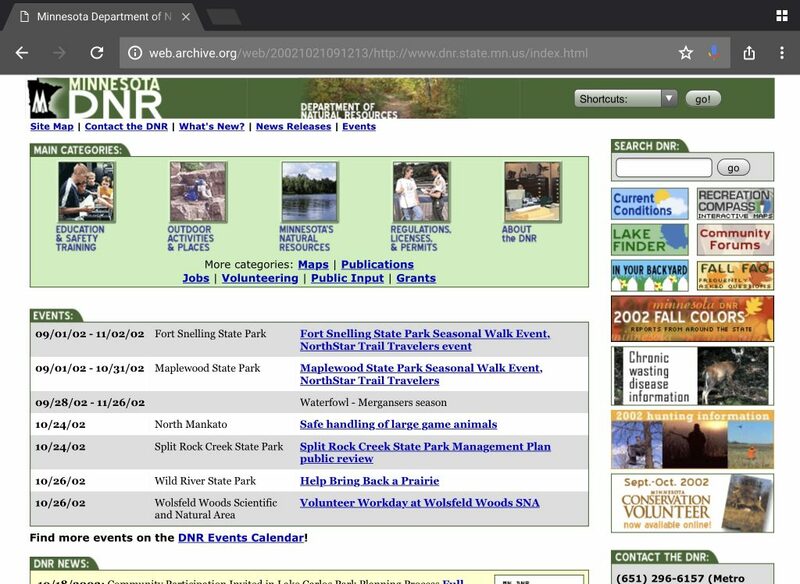 Minnesota DNR web redesign 2001-02: In August 2000, I was hired as Web Designer for the Minnesota Department of Natural Resources (MNDNR), a high-profile state agency with nearly 3,000 employees. I was hired as part of a new “web team” along with a content specialist and a web developer, and our mandate was to redesign the MNDNR website (which served a dizzying array of departments, from hunting and fishing licenses, to state park reservations, to ecological services). After consulting with a wide range of stakeholders both internal and external, we launched a completely rebuilt and redesigned website in the spring of 2002 that was used for six years. The site is basically intact on archive.org, and it holds up pretty well even after all this time. This was my quickly built 2012 portfolio that includes a few pieces that aren’t on this website, including my work for the Brainwash Movie Festival. 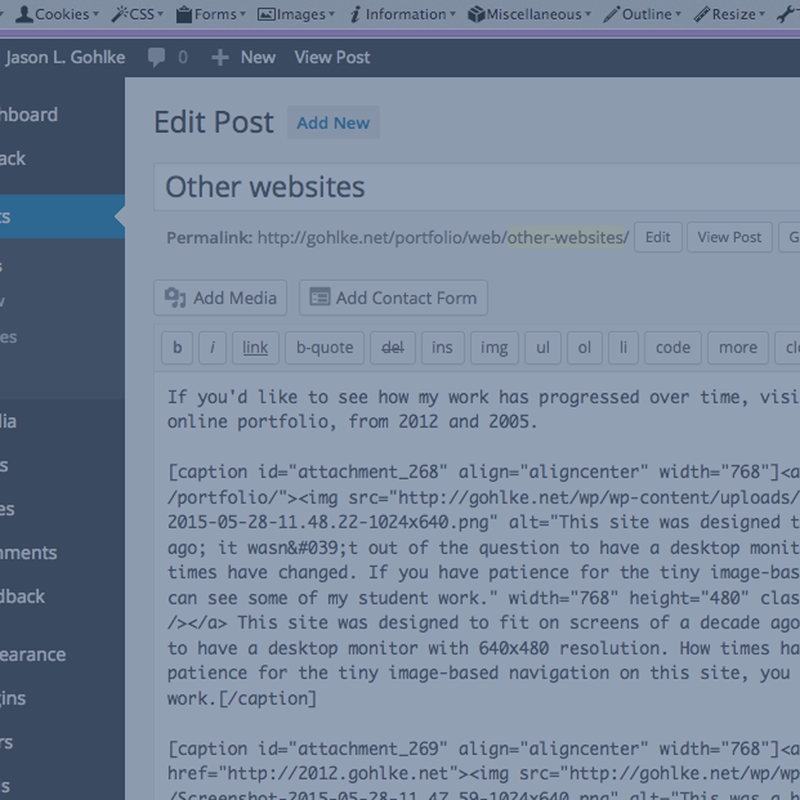 The notable feature of this design is its responsiveness, which I built myself in CSS. Check it out on a phone and a tablet. This site was designed in 2005; at the time, it wasn’t out of the question to have a desktop monitor with 640×480 resolution. How times have changed. 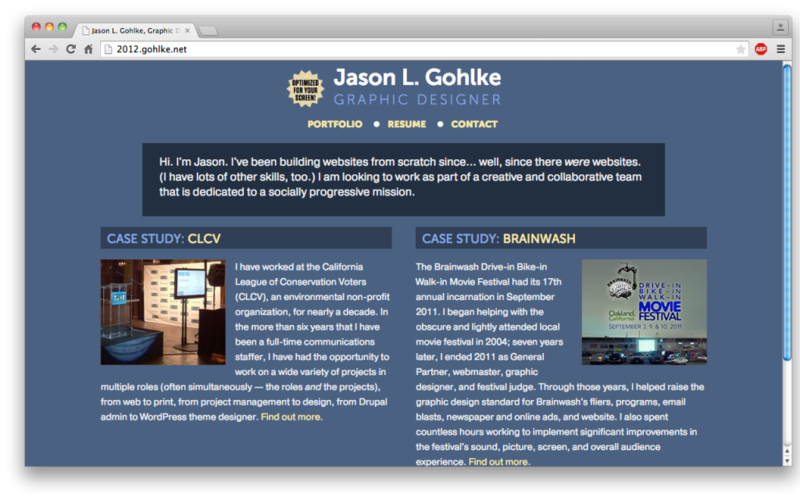 This portfolio includes some of my student work.